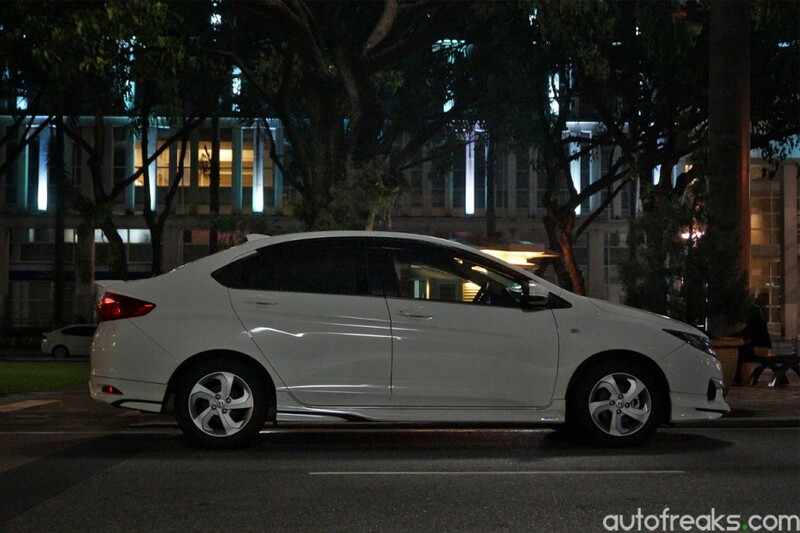 The Honda City S+, by the roadside. 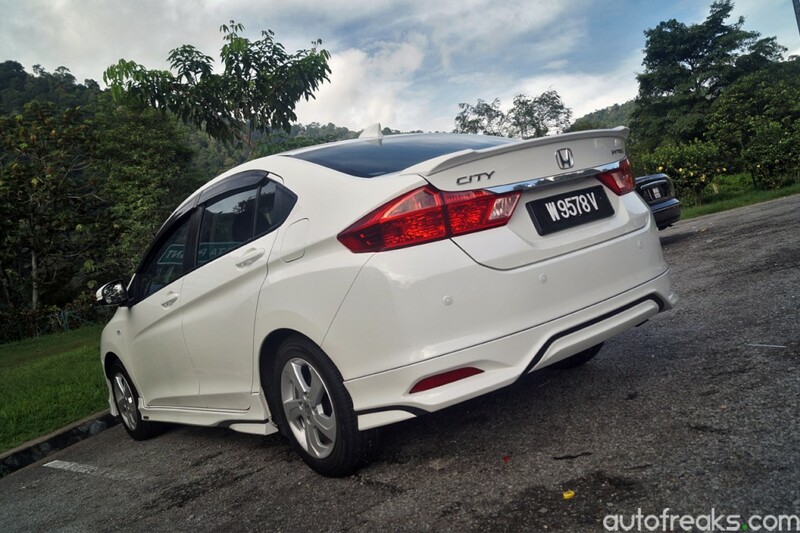 With Honda’s new tagline of Machine Minimum, Man Maximum, let’s take another look at the new Honda City. 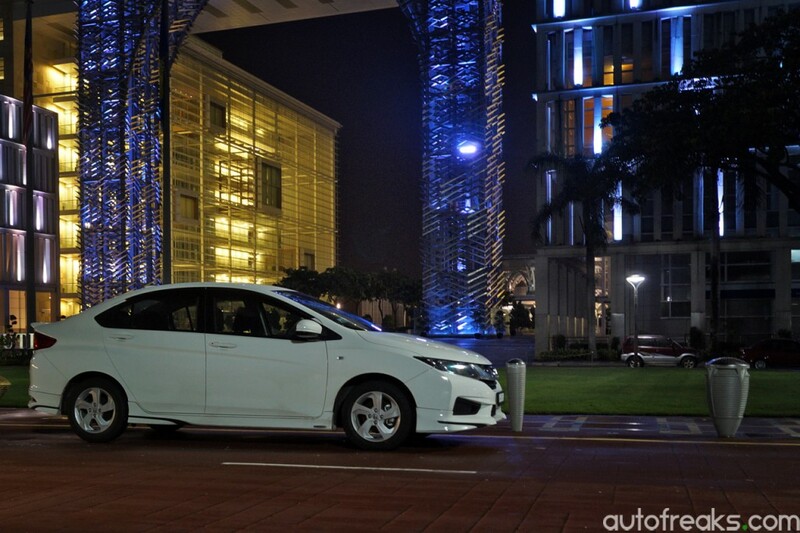 Launched back in March 2014, the sixth-generation Honda City is no stranger to Malaysians, as seen on our roads. 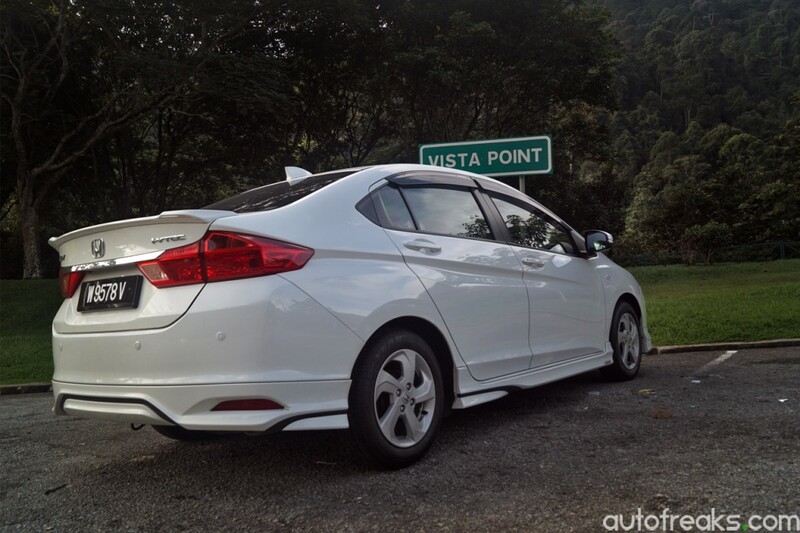 We have reviewed the top spec Honda City Grade V here and it got compared against its fiercest competitors here. 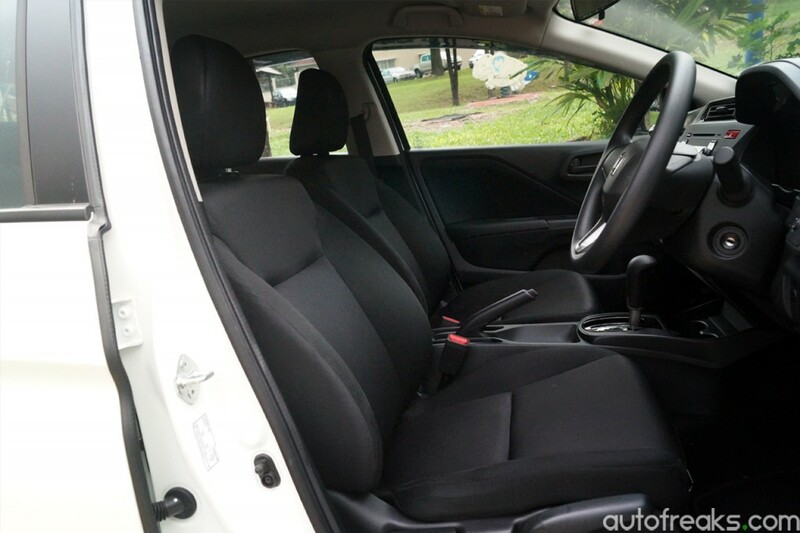 So for this review, we’ll be looking at the almost-basic Honda City Grade S+ for its practicality and fuel efficiency. 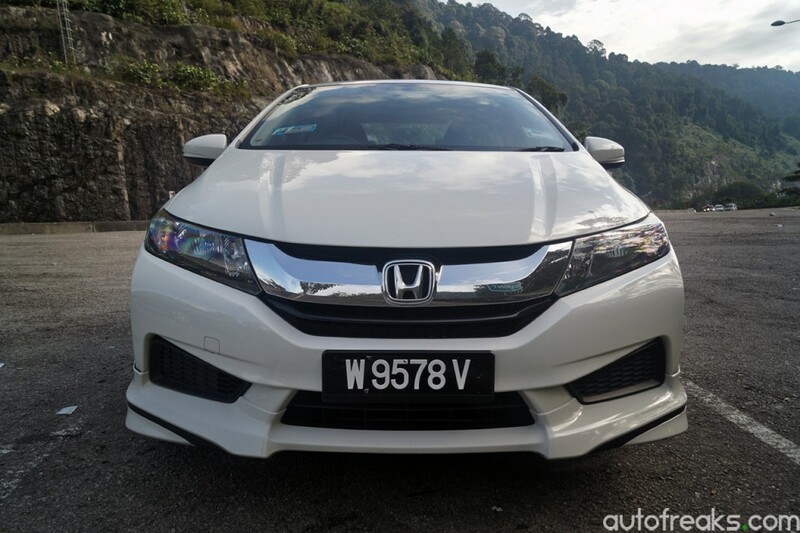 For this particular review, I’ve taken the Honda City with my family all the way to Penang, then to Ipoh and back to Kuala Lumpur. For the purpose of being realistic, I won’t be hypermiling the new Honda City. Parked in Putrajaya for these shots. 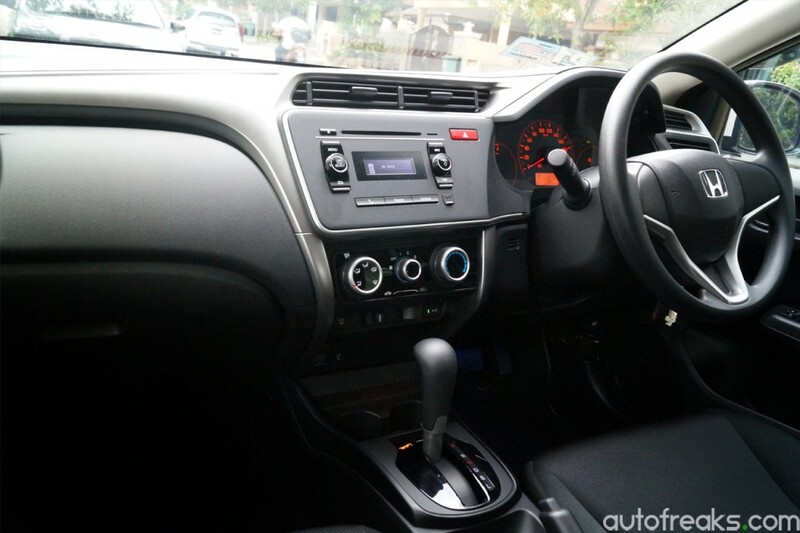 But before we jump into the review, let’s take a closer look at the sixth generation Honda City. 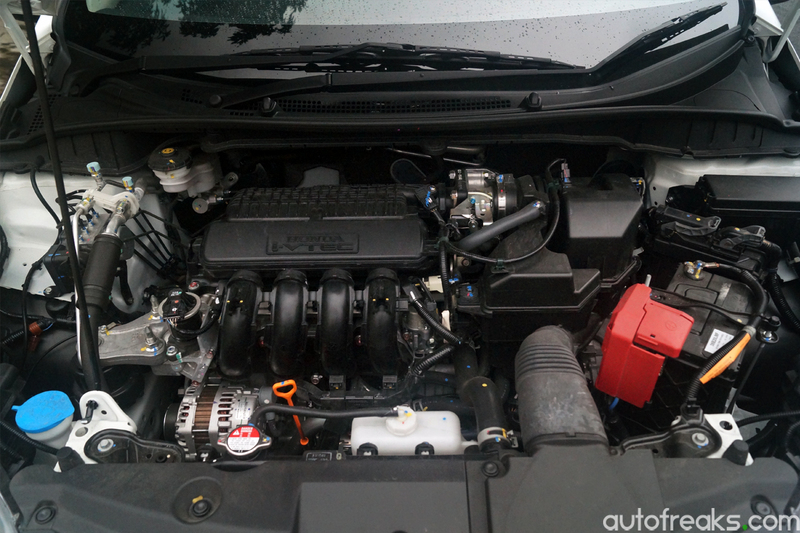 Underpinning the Honda City is Honda’s new compact platform which also underpins the new Honda Jazz and upcoming Honda HR-V. Like the Jazz, the Honda City is also powered by Honda’s familiar L15Z1 SOHC i-VTEC engine with a capacity of 1496 cc. Coupled with exhaust gas recirculation (EGR), the new Honda City produces some 120 PS (118 hp) at 6,600 rpm and a total of 145 Nm of torque at 4,600 rpm. 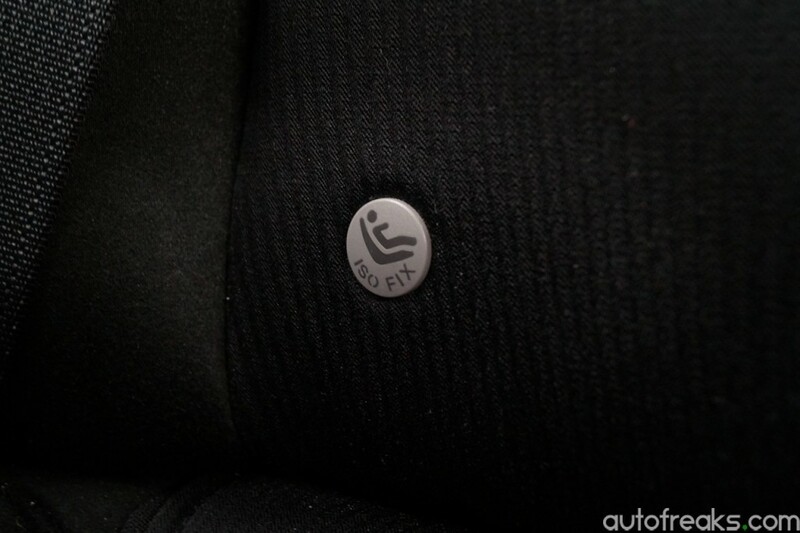 Also like the Jazz, the Honda City also features the same Earth Dreams Technology CVT. With a claimed 0-100 km/h sprint time of 10.5 seconds, and a top speed of 190 km/h, the City is quick. 120 PS motor does a swell job. 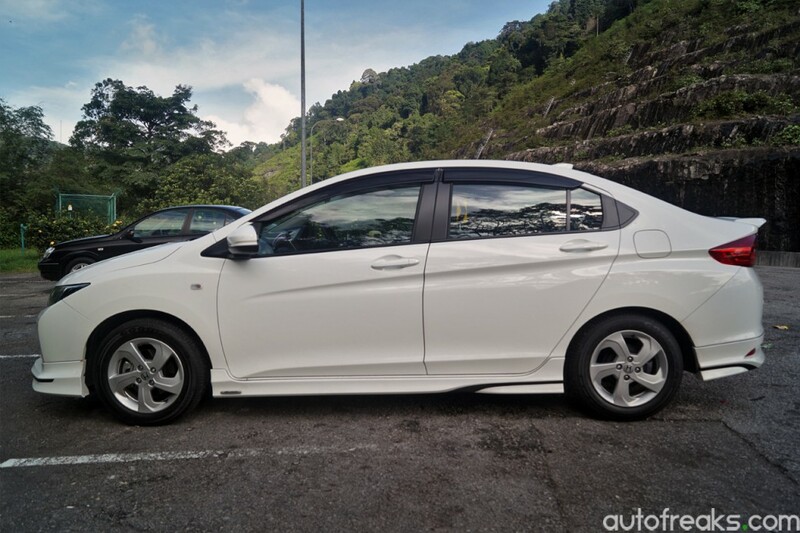 The Tafetta White variant you see here is equipped with the optional Modulo bodykit (RM3,200). Whether or not the bodykit suits you, is totally your choice. For me at least, it just adds to the cost, not much on the looks department. Up front, the City Grade S+ loses the front foglights that is present on the City Grade V. While it may lose out on the front foglights, Honda offer (as standard) smoked headlights on the Grade S and Grade S+ variants of the City. 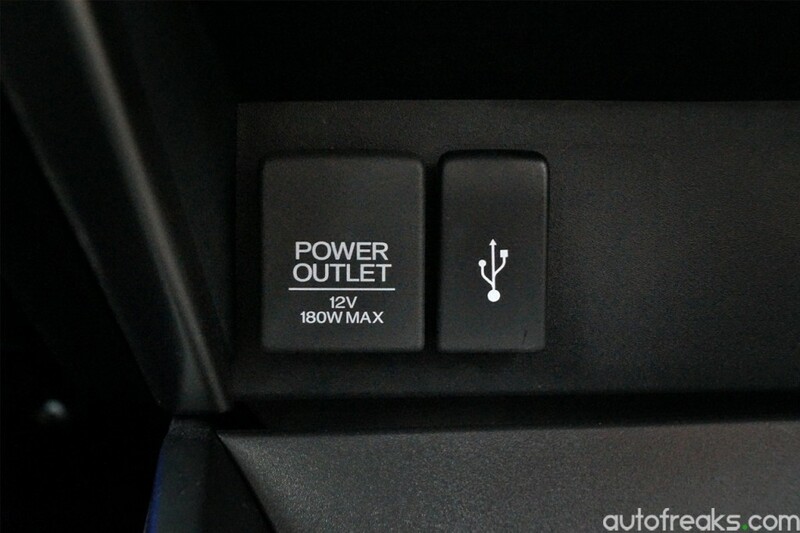 Other than that, turn signals are found on the side fenders and not on the wing mirrors. Smoked headlights comes as standard on the City S+. 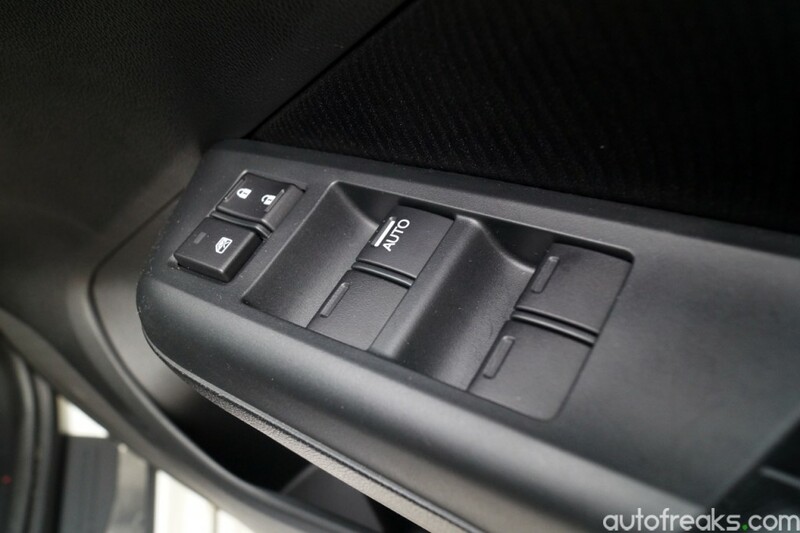 As for the interior, the lower grade Honda City variants will have to make do with amber illuminated meter clusters, while aircon controls are of the regular knob-type. 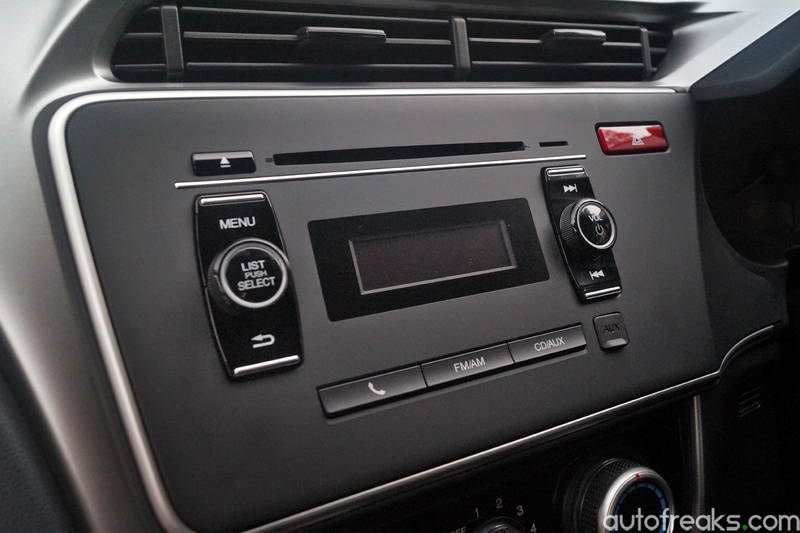 Another clue to cost cutting is the Spec S+’s radio/head-unit, which frankly speaking, is just really underwhelming. The head-unit has too much empty space and the display used is too small. At least the sound quality and tactile feel does make up for it. The only hassle comes when you need to change radio channels, as there are no memory buttons to be found. 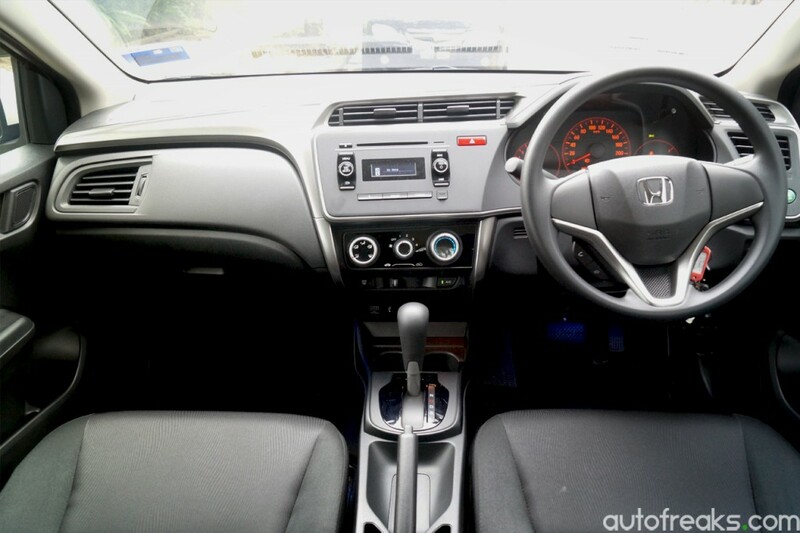 If given the chance, the Honda City Grade S’s single DIN Alpine head-unit would have been our preferred choice. 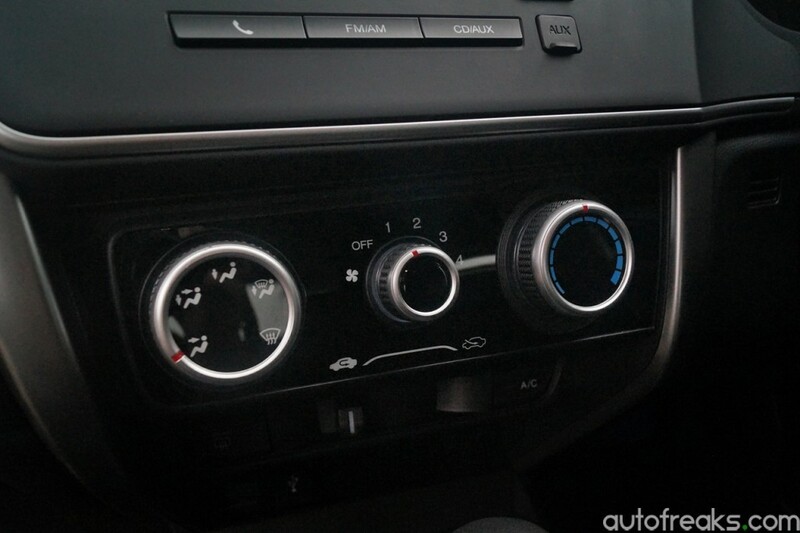 ‘Cost-efficiency’ aside, we are thankful that the aircon controls are not a fingerprint magnet like the higher specc’ed variant’s touch controls. Underwhelming looking head unit, but backed up by decent sound quality. 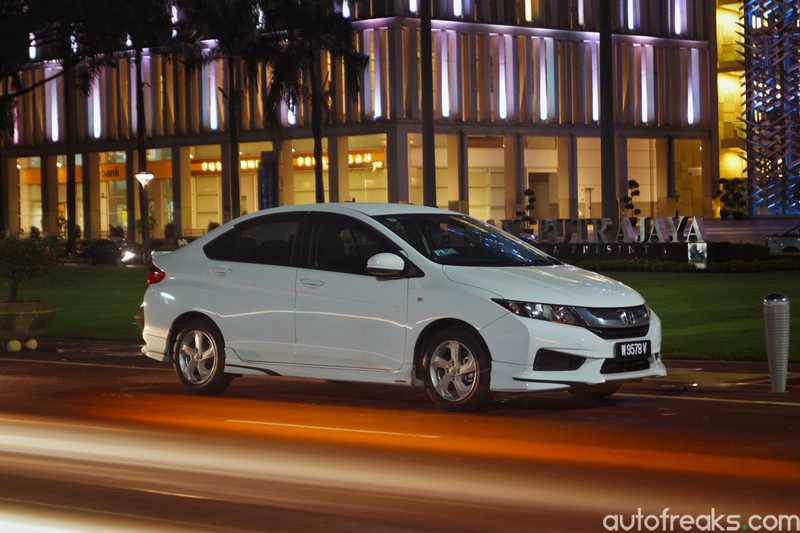 Despite its perceived lower-priced cheapness, the Honda City does make up with its driving capabilities and sheer practicality. The City’s electric power steering actually offers decent amount of feedback to the driver, something that other car manufacturers should learn from. The steering feels just nicely weighted, without feeling overly assisted or too heavy at lower speeds. Even at highway cruising, the steering does offer the driver excellent confidence, as the driver does not need to continuously do minor steering corrections. Definitely a plus point in my books. Blue light in the foot well is a cost option. The 120 PS motor may not sound like much, but with a kerb weight of just 1,079 kg, the City is plenty quick and nimble. Even with a full family on board plus luggage, the City still manages to accelerate decently quick. The 175 series Goodyear GT3 tires are there to reduce rolling-resistance and improve fuel economy, and limits of the tires were quickly discovered through some turns. Tire screeching will remind you of the fact that you’re driving too enthusiastically. Stickier tires would definitely improve the City’s driving experience, but that would take a toll on the fuel consumption. Despite that, body-roll on the new City is well contained, and remains nice and nimble. The City S+’s rims may be easier on the pocket (for maintenance), but the Grade V’s 16-inch rims certainly look better. 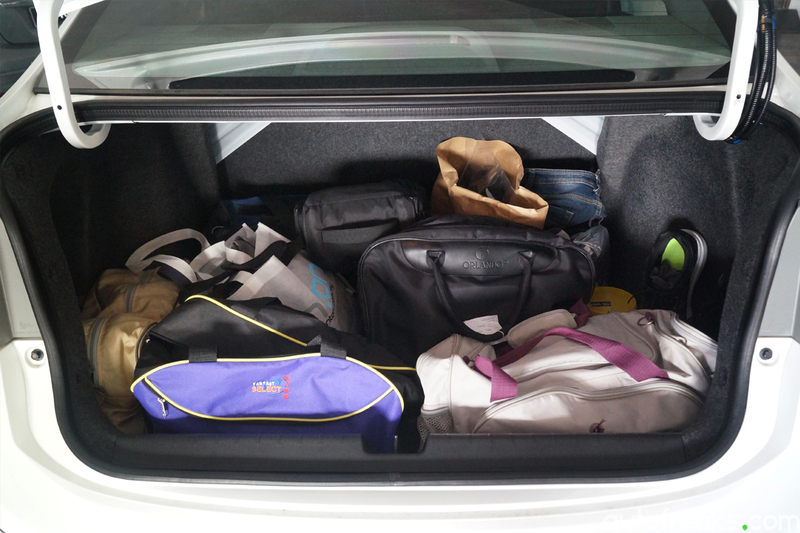 Speaking of fuel consumption, I loaded it with my family and chucked all the luggage into the 536 L boot and took a trip to Penang to properly gauge the Honda City. On the highway, the City does very well indeed, reporting an average fuel consumption of 15.0 km/L by the time I reached Penang. Bear in mind that this is done with a full load, and aircon speed was set at 2. 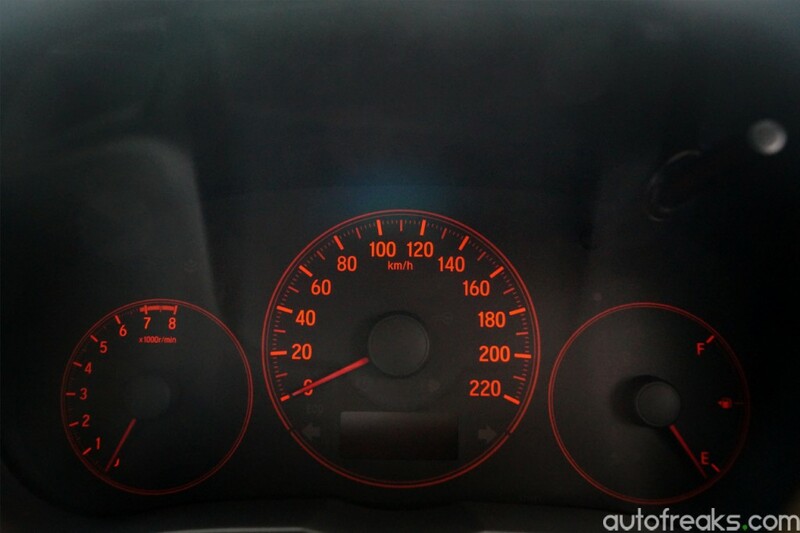 Average speed of the City was around 110 km/h, but on certain stretches, up to 170 km/h. The City clocked some 397.8 km before the needle touched the lowest bar. After calculating out the mileage, the City did an average of 12.84 km/L. 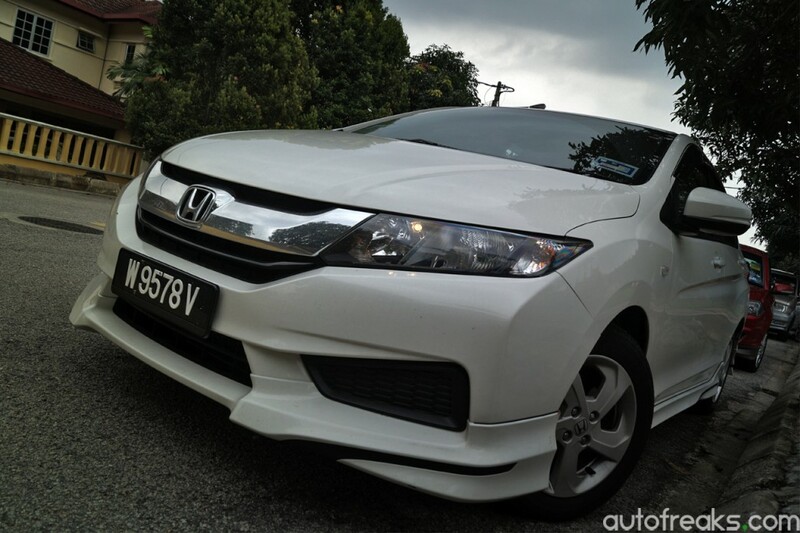 Modulo bodykit is a cost option. As for the trip back from Penang to Kuala Lumpur, traffic was at a near standstill, which did not help with average fuel consumption. The single trip meter (Grade E and Grade V get two trip meters) registered a reading of 421.9 km before the low fuel light came on. 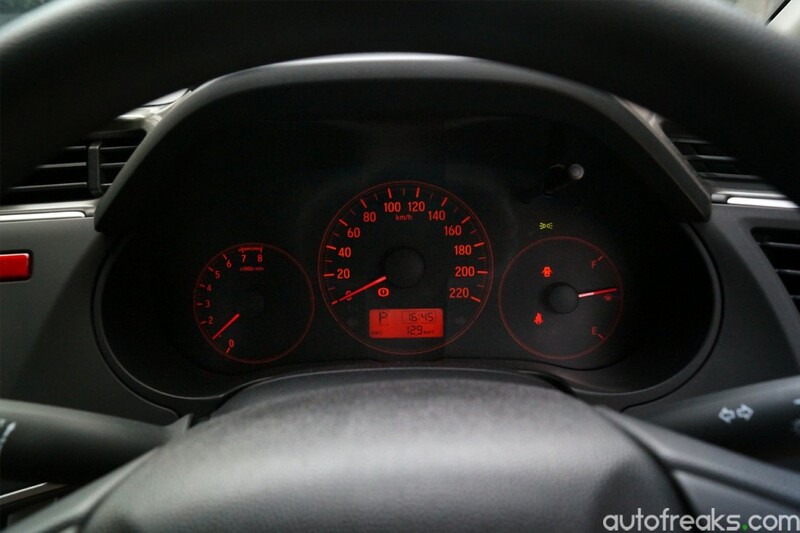 At that time, the average fuel consumption was reading at average of 13 km/L (actual consumption was 12.39 km/L). Not too shabby indeed, and I believe with a more gentle approach, the City can hit at least 16 km/L with very gentle driving. While still pretty far off from the Jazz Hybrid’s claimed fuel consumption of 22 km/L, this is still pretty impressive for a regular non-hybrid powertrain. The Modulo bodykit comes with a rear bootlid spoiler as well. Insofar as NVH is concerned, Honda has really upped the ante with the new City as wind noise and road noise are properly insulated from the cabin. Engine noise too, is kept at a minimum. Wind noises were only apparent when speeds crept above 140 km/h. The juddering wipers did not seem to like working at that speed either. Passengers at the back seat were pretty impressed with the rear legroom, as they were able to stretch their legs without any issues. Family members were able to converse with each other without raising their voice too much. Even on the bumpier northern stretch of the North South Expressway, the passengers behind did not complain at all, as they even managed to fall asleep! More than enough legroom at the rear. 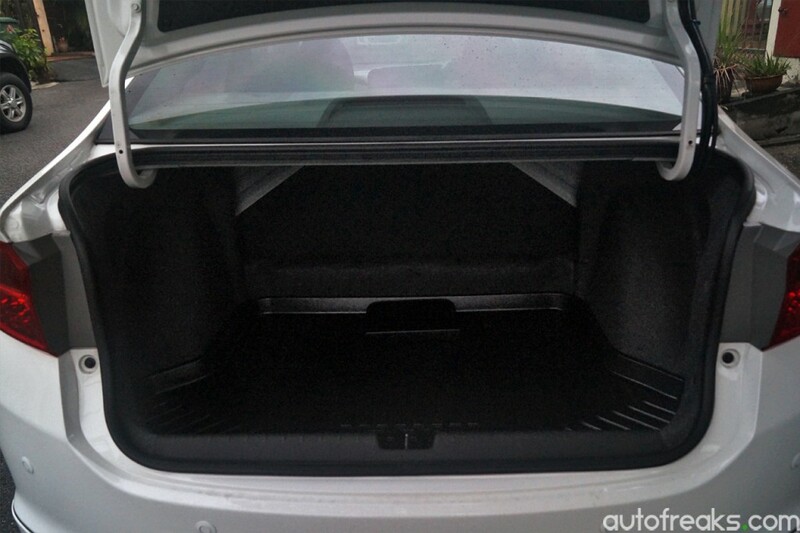 With 536 litres of boot space, travelling with luggages is no longer a hassle. 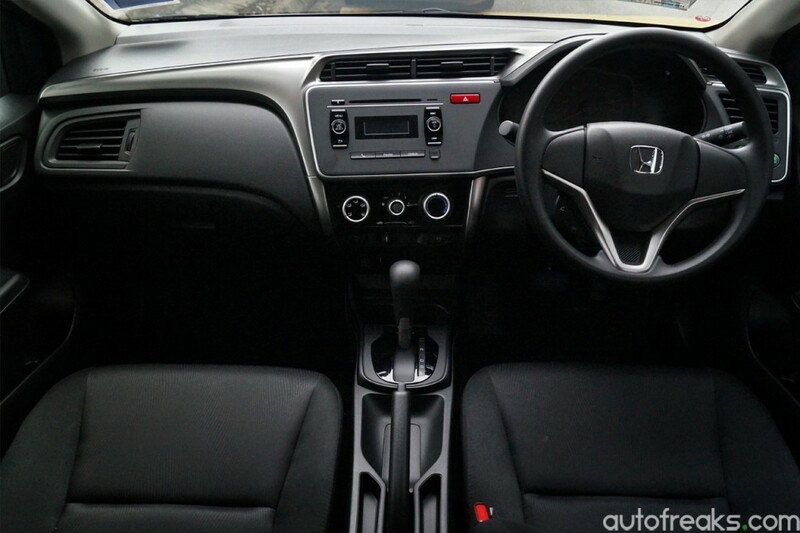 Is the Honda City Grade S+ the perfect car? It depends, really. The Honda City (regardless of variant) is almost the perfect B-segment sedan which offers good styling, comfort, safety and practicality. With a price tag of RM78,800 (OTR with insurance), the Grade S+ is only RM5,000 cheaper than the Grade E, but compromises heavily on the kit-count. 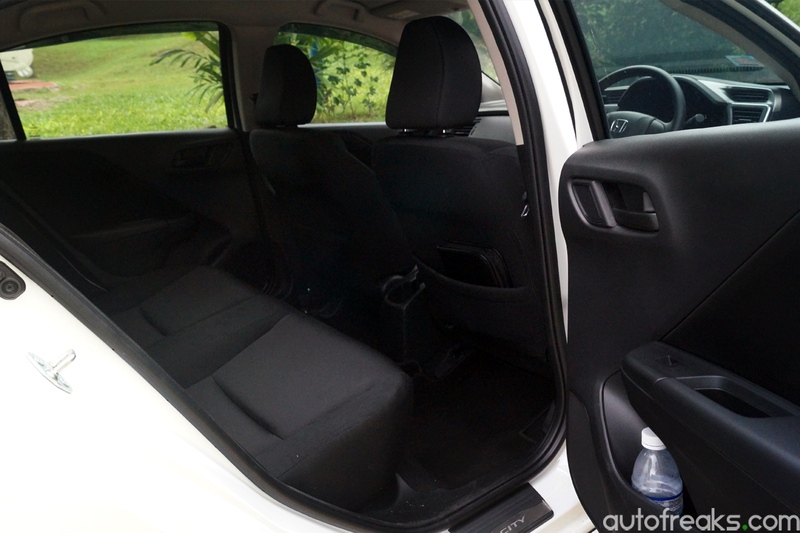 The Honda City Grade S+ does not get the 60:40 split folding rear seats, rear aircon vents, side folding mirror with turn indicators, stability control, keyless entry and push start button that the Grade E gets. However, irregardless of which variant purchased, buyers will be backed by Honda’s 5-year unlimited mileage warranty, as well as free labour for the scheduled 1,000 km, 10,000 km, 30,000 km, 50,000 km, 70,000 km and 90,000 km services. 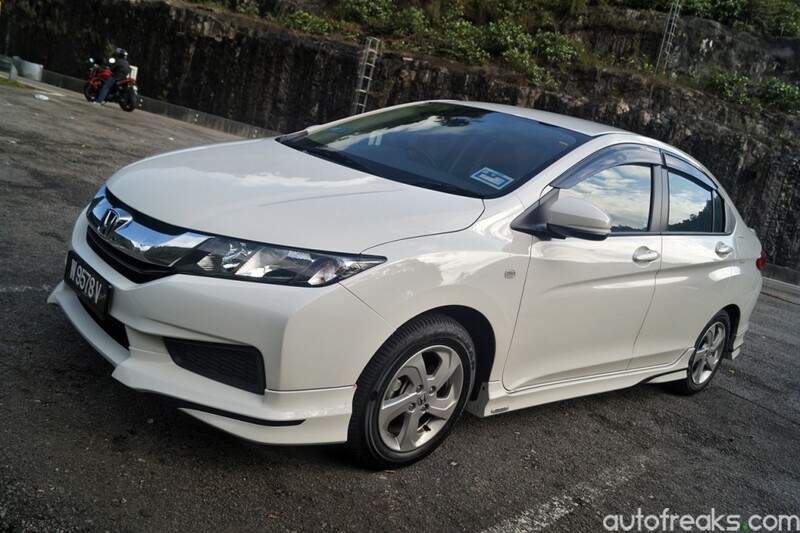 For me at least, topping up for the Honda City Grade E or even the Grade V is justifiable as they offer much better value for money and better safety. Enjoy our photo gallery below!